Stamford, Connecticut, U.S.A. --- Bishop Jia ZhiGuo 賈治國, the underground Roman Catholic Bishop of the Diocese of Zheng Ding 正定in Hebei Province, was arrested again by two government officials at his house at approximately 3:30 pm Beijing time today July 4, 2005 and was driven away to an unknown location. The government officials telephoned Bishop Jia in advance, notifying him that he was being picked up and ordering the Bishop that he was to tell the people that he was being taken away by the government officials to visit a physician. Bishop Jia is not sick at present and there is no need for him to visit a physician. We have no idea how long Bishop Jia will be taken away. Bishop Jia is 70 years old and was ordained a bishop in 1980. He was previously in jail for approximately 20 years and has been under strict surveillance for many years. He takes care of approximately 100 handicapped orphans in his house. 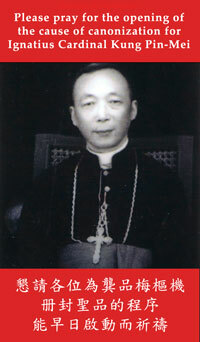 This is the sixth time that Bishop Jia was arrested since January 2004. The first arrest was April 5, 2004. A car with four government security policemen suddenly appeared at the bishop's residence and took him away without explanation. The second arrest was September 9, 2004 when Bishop Jia was forced by two security personnel to take a tour for three days to Wentang 文溏 Township in Pingshan 平山 County. Adding insult to injury, they forced the bishop to pay for the hotel and meal expenses, including for those government officials who watched over him. The third arrest was September 30, 2004 when Bishop Jia was forcibly taken away by security personnel of Shijiazhung 石家莊district. The arrests on December 14, 2004 and January 5, 2005 were Bishop Jia's fourth and fifth arrests. 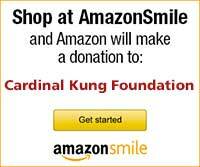 Joseph Kung, the President of the Cardinal Kung Foundation, said: "I said it before and I am saying it again. The spirit of the Olympic Games is being so downgraded by their coexistence with the evil spirit of religious persecutions in China. The noble name of "Olympic" is being severely tarnished by its association with religious persecutions and human rights violations in China who is hosting the 2008 Olympic Games. This is about the time for the Olympic Committee to consider canceling the Games in China in order to preserve their good name and spirit."